Nik Qistina duets with Filipino – Canadian singer, Darren Espanto whose debuted album is now a certified platinum album. The two talented singers have teamed up to release a stripped down version of ‘Young Hearts’through Universal Music Malaysia and estimated to be released on the 21st April 2017 on all digital music platform. 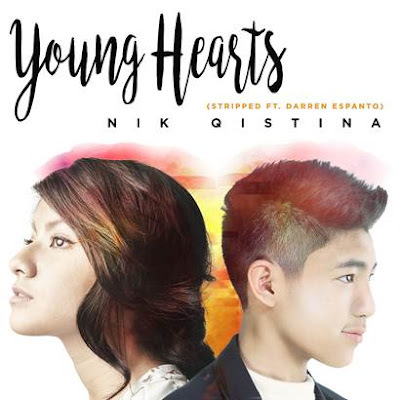 ‘Young Hearts’, originally produced by Kieran Kuek of Universal Music Publishing, initially took the internet by storm, and has gathered more than 932,000 plays on Spotify, and 525,000 views in total on her VEVO channel.